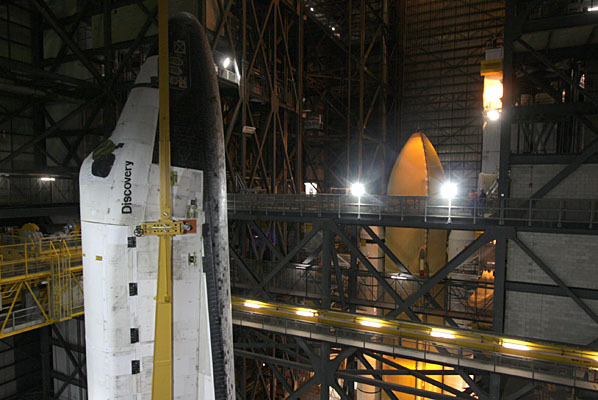 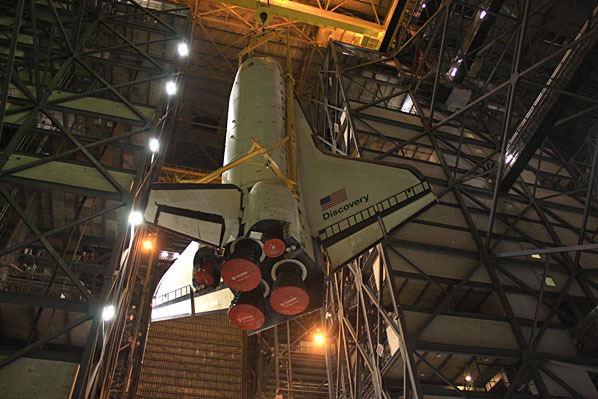 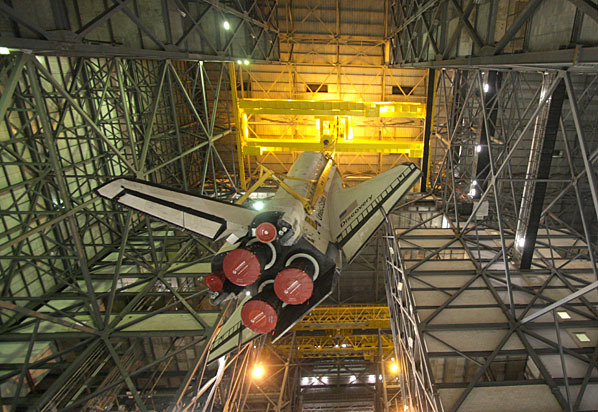 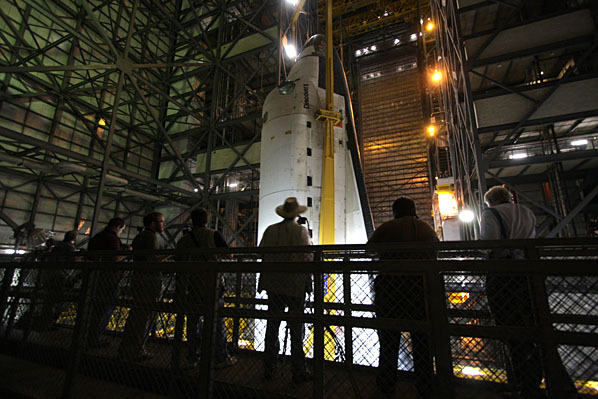 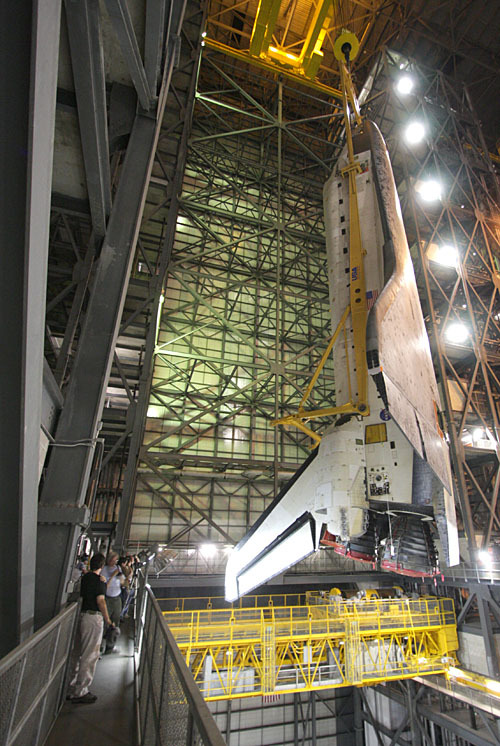 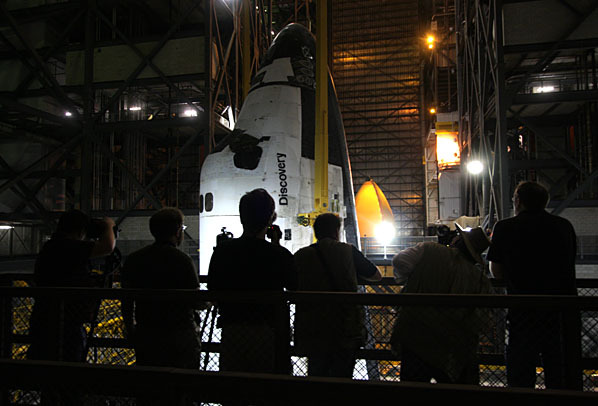 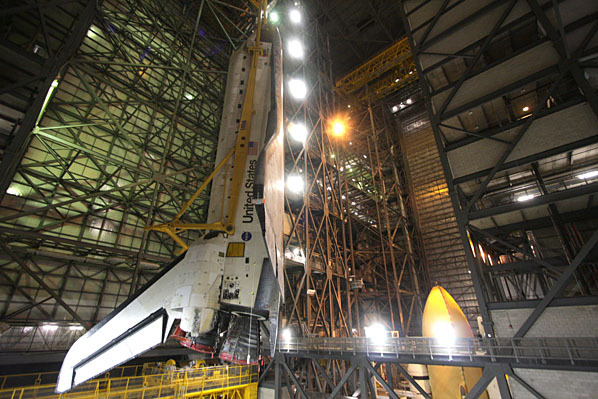 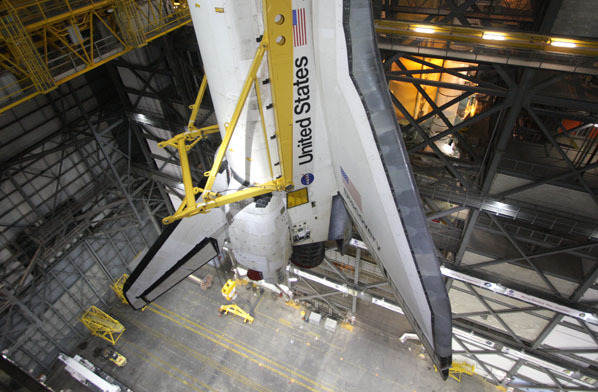 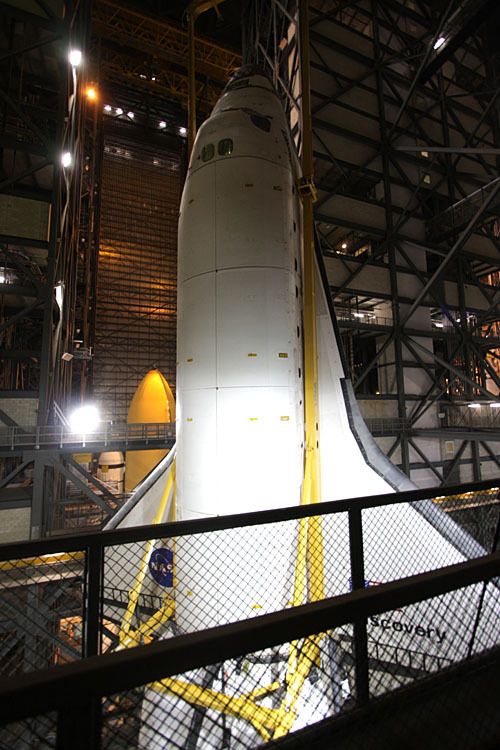 Technicians raised the shuttle Discovery from the floor of the Vehicle Assembly Building beginning around 3 a.m. EDT Friday. 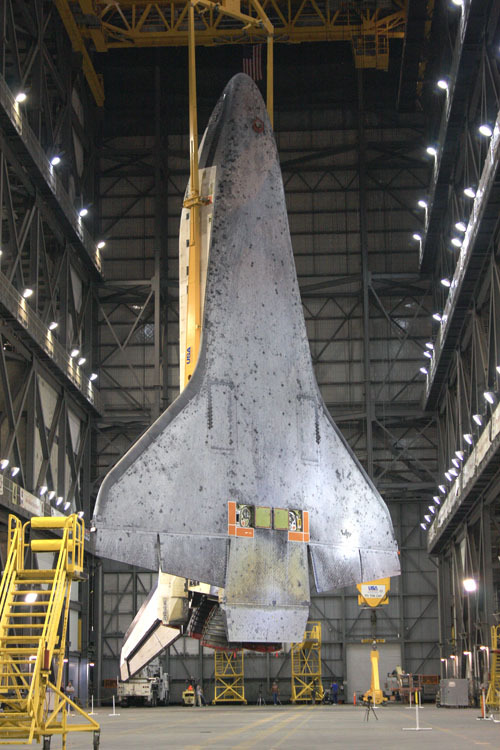 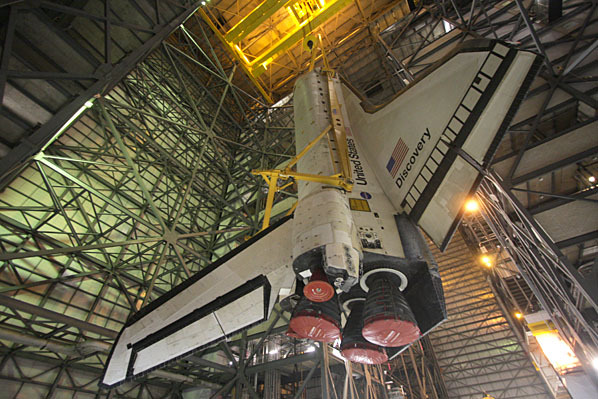 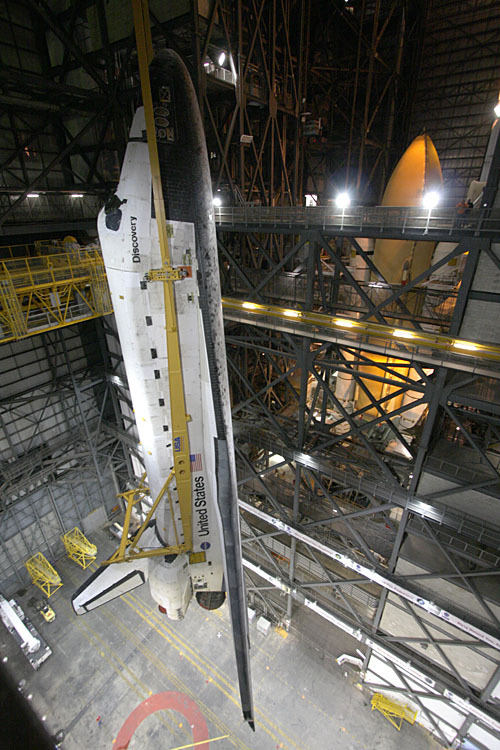 The 100-ton spaceplane was hoisted high above the building's transfer aisle, over the transom and into High Bay 3. 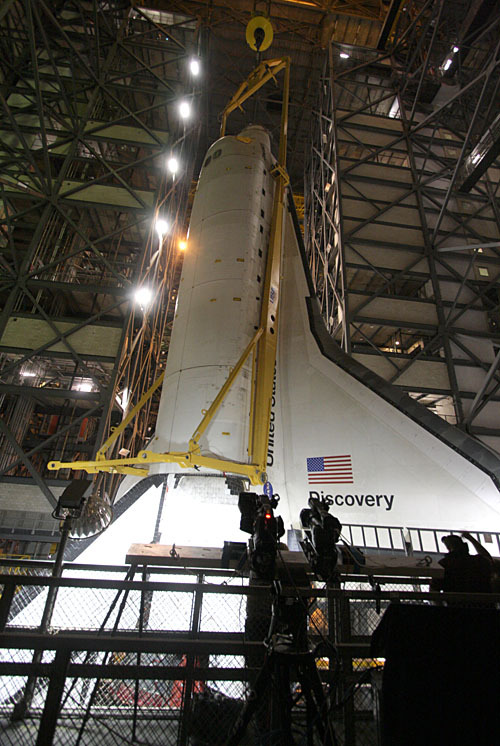 A heavy-duty crane gently lowered Discovery into place next to its external tank and solid rocket boosters around 5:30 a.m.